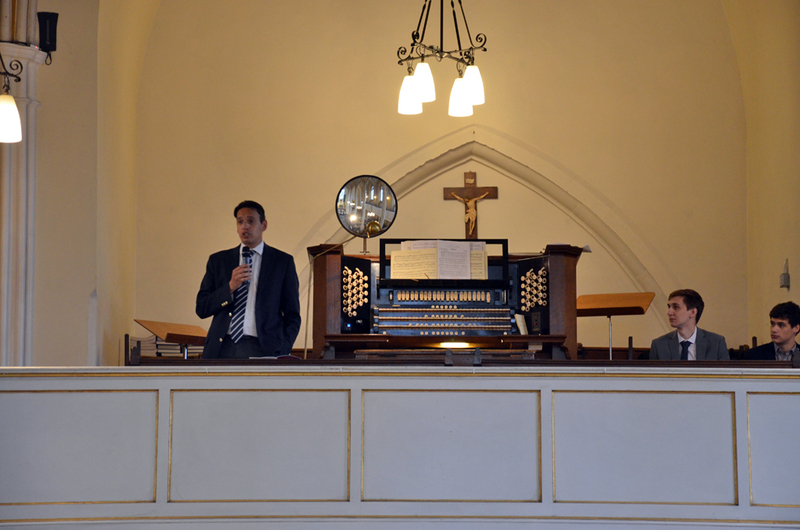 Friday 8 September 2017 saw the start of our annual organ festival, which coincides with the national Heritage Open Days. 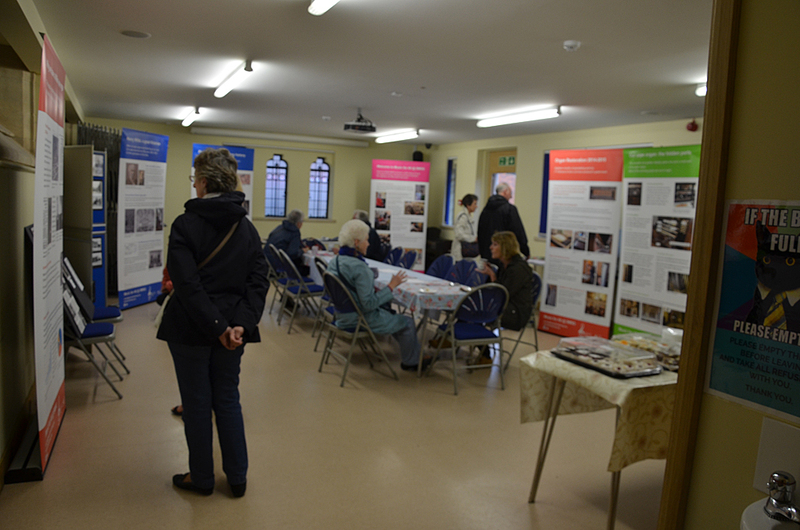 We started the festival with a coffee morning combined with the Open Church and Photo Exhibition in the Parish Hall, with photos of Old Stony Stratford as well as the organ history and how it works banners (from the Heritage Lottery Project) on display. 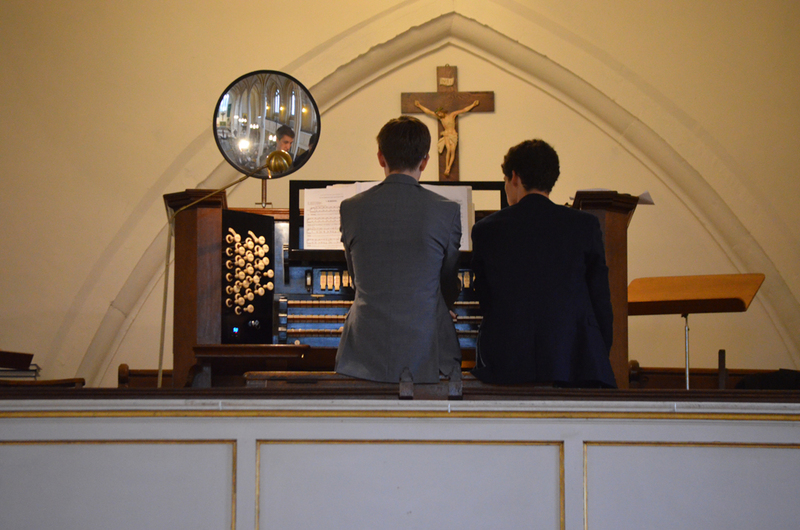 During the morning the sound of the organ could be heard as Jacob practiced for his lunchtime recital. At lunchtime the adult audience started to arrive, got cups of tea or coffee and cake and went to sit mostly on one side of the nave, while Year 5 from St Mary & St Giles school and Year 2 from Greenleys School filled up the seats on the other side of the nave. Some of the children arrived during the first piece of music and the Greenleys children had walked to Stony Stratford in the rain. 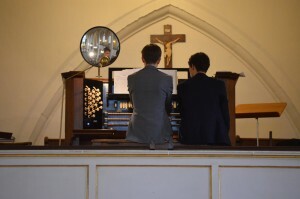 They settled into their seats facing the organ quietly and started their packed lunches. 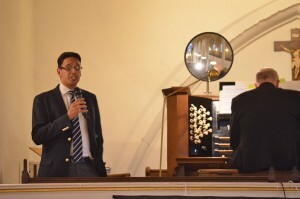 Once Jonathan Kingston had welcomed everyone to the Organ Festival, Jacob played pieces by Louis Vierne, J S Bach, Oliver Messiaen, Percy Whitlock and Noel Rawsthorne and introduced each piece with some interesting information about it. During a piece by Noel Rawsthorne, the school children were given additional refreshments in relays at the back of the church (they had been quietly eating as they listened) and I saw one of them dancing quietly along the aisle to the music, which was a clever combination of 5 different tunes, including Sailor's Hornpipe, Bach's Brandenburg Concerto, Vivaldi's Four Seasons, Rule Britannia and Widor's Toccata (the piece is called Hornpipe Humoresque). Jacob dedicated the final piece in the concert to his grandfather Henry Blake who died earlier this year and who had been a big supporter of his musical development. 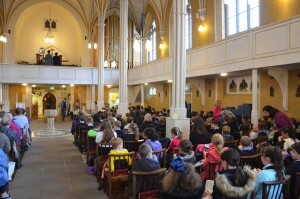 Over 100 school children and more than 80 adults enjoyed Jacob's concert in a warm and friendly atmosphere despite the miserable weather outside. 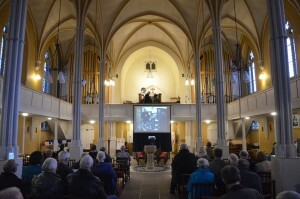 During the afternoon the technical team put up the big screen and the video camera in preparation for the next few events. On Friday evening we welcomed Dr Simon Lindley to Stony Stratford for the Gala Recital. Simon is the Leeds City Organist and this was his first visit to Stony Straford. He had prepared a significantly wide ranging programme of music for this concert and soon got the measure of the Willis organ, which he described as "Quite a find" which was high praise. 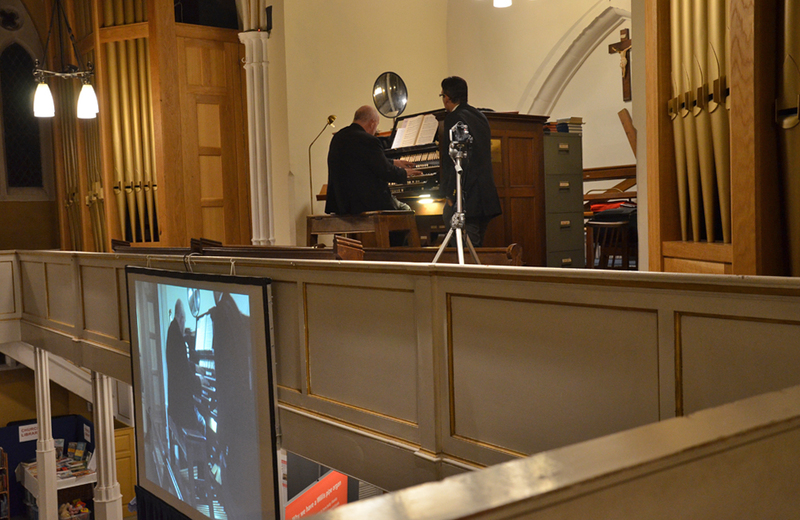 Simon introduced the pieces in groups, with fascinating anecdotes, and asked for no applause until the end of each half of the concert. 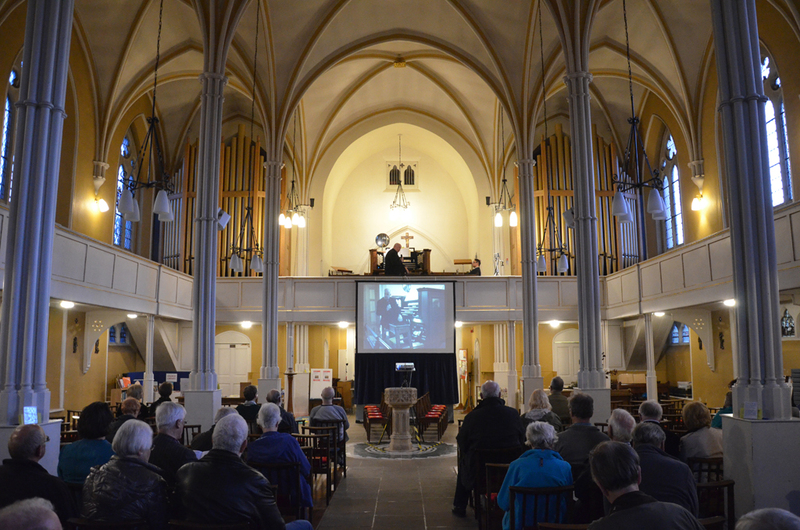 And Sailor's Hornpipe featured again - in Bach before the Mast, which made me smile (a theme tune for this festival was beginning to emerge). 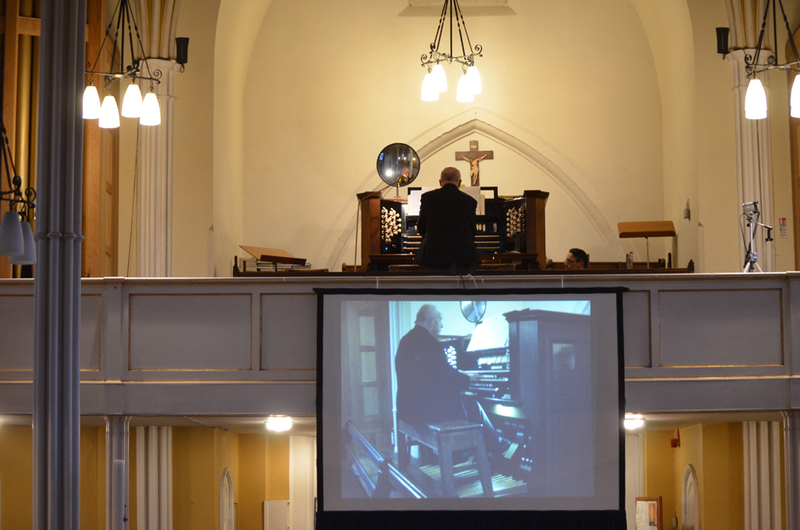 There was so much to enjoy in this choice of music played so expertly on the Willis organ by Simon Lindley and the applause was long and well deserved. What a wonderful way to finish the first day of the festival.